Not all homeowners think to get their home’s dryer vent or air ducts cleaned. This can be due to the “out of sight out of mind” mentality or simply just not important to their home’s function. However, leaving dirty dryer vents or air ducts can have a major effect on a home. For those who haven’t had their dryer or air vents cleaned, Leading Carpet Cleaning will share what you have been missing and how it can benefit your home. Cleaning your home’s dryer vent or vents can have a major impact on your home. It can save money and lives. Dryer vents left uncleaned can be potentially hazardous. It is no secret that residential fires are often caused by clogged dryer vents. When dryer vent fill with lint, it can cause the dryer to overheat. As the dryer overheats it can begin to burn the lint. Lint is extremely flammable and once a small ember gets started, the entire vent can catch a blaze leading to the entire house burning down. This is one of the biggest reasons why a dryer vent should always be kept cleaned. Another major issue with dirty or clogged dryer vents is poor air flow or air circulation. It can take the dryer a long time to dry the clothes, and in some cases, multiple cycles to dry a single load of laundry. This can affect the dryer’s efficiency and lead to additional cost. Dryers are one of the more energy heavy appliances in your home and can cost the homeowner hundreds of dollars a year due to poor efficiency. To help maintain you dryer’s efficiency and save you money on your energy bill, keep the dryer vents cleaned. Air Ducts have a number of issues that can be resolved by having your air ducts cleaned. Air ducts can develop mold, mildew and a buildup of dirt inside the duct work. Additionally, some pests often crawl inside air duct systems and leave behind feces, dander, or skin flakes. All can lead to indoor allergies that can affect those with sensitive immune systems. Additionally, the dirt in the air ducts can cause dust inside the home. 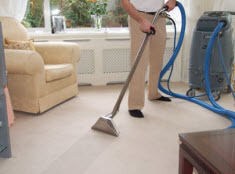 Have you ever cleaned your home and not but a few minutes later there was dust again? It’s not your cleaning skills, but your air ducts. As the air conditioner or heater is running, it is circulating air into the various rooms in your home and the dust is coming out with the air, causing frequent dust. By having the air ducts cleaned, you can improve your home’s air quality and cleanliness. Dirty air ducts can also lead to poor efficiency. Like dryer vents, air ducts can also cause poor efficiency. However, it is minor. But minor efficiency still adds up over time, costing you more to cool or heat your home. Clean dryer vents and air ducts can help save lives and money and benefit the entire home. By having your air ducts cleaned every three to five years can improve your home’s air quality, save you money and prevent hazardous conditions. 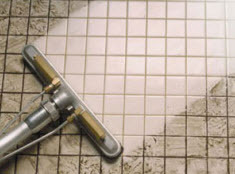 Leading Carpet Cleaning provides dryer vent and air duct cleaning along with many other services. 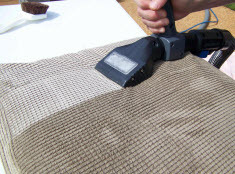 Contact Leading Carpet Cleaning to schedule our services today.